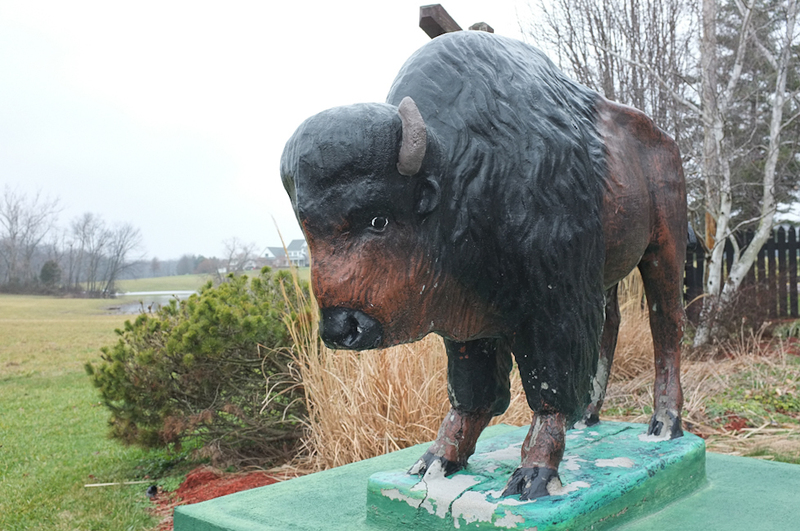 Early settlers to southern Indiana encountered American Bison in large numbers. 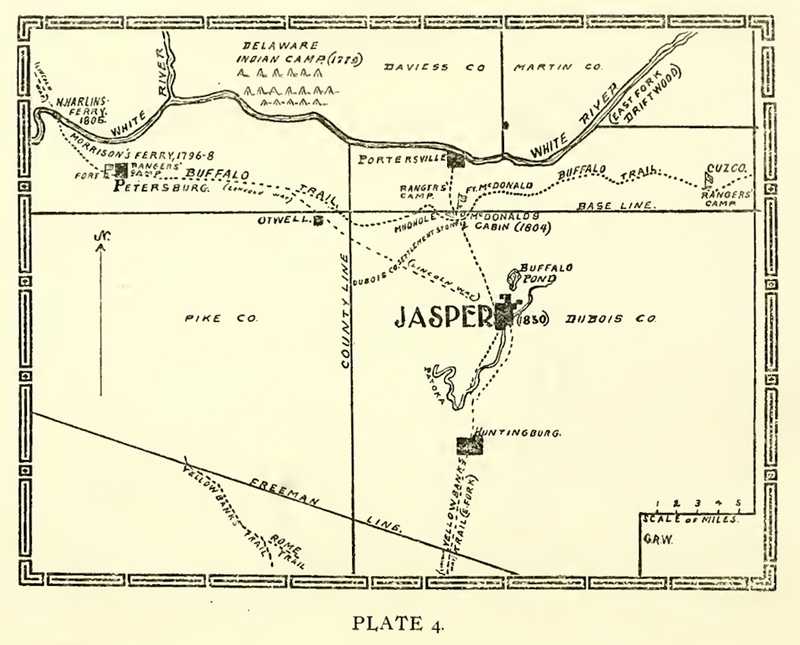 The most prominent overland path through the area was the Buffalo Trace, a cluster of trails running from the prairies of Illinois to salt licks in northern and central Kentucky. Created by bison over the course of centuries, these trails had become firmly packed and as wide as twenty feet in some places. Early settlers used the Buffalo Trace because it offered relatively smooth passage over rugged terrain. The Buffalo Trace entered Indiana at the Falls of the Ohio and ran in a northwesterly direction to the Wabash River, near the present-day location of Vincennes. 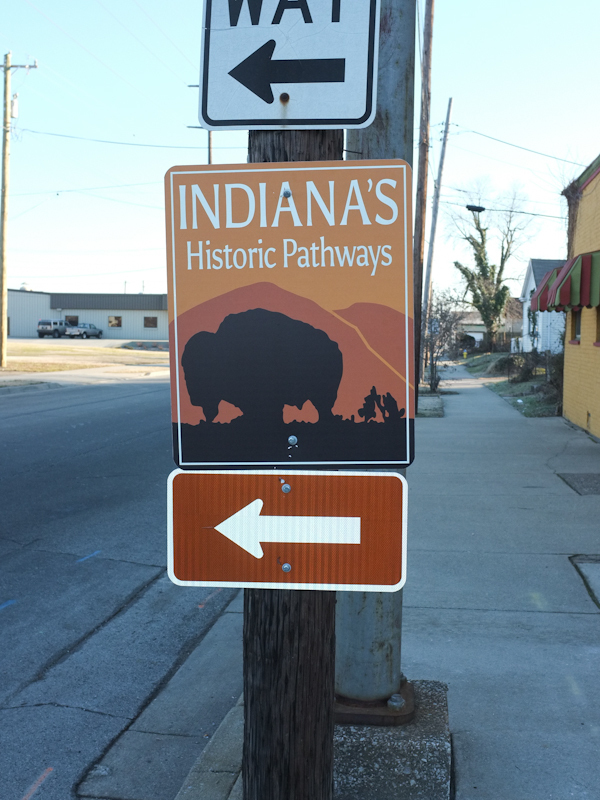 The trace figures prominently in the early history of southern Indiana. After troops led by General George Rogers Clark took control of the Illinois country during the American Revolution, it became an important corridor for westward settlement. In 1786, General Clark marched about 1,000 men along the route in an attempt to quell a Native American uprising. Explorer John Filson used the trace to return to Louisville after reaching Vincennes by river. The Vincennes Treaty of 1804 referred to the trace as a boundary line. In 1805, William Rector surveyed the Buffalo Trace to establish its precise path. His notes are a valuable source of information about its extent and condition. He reported the road as “spacious enough for two wagons to go abreast” and heavily used by settlers and traders. Because the trace remained heavily used when Indiana became a state in 1816, the legislature had a road paved between New Albany and Vincennes as part of an internal improvements campaign. 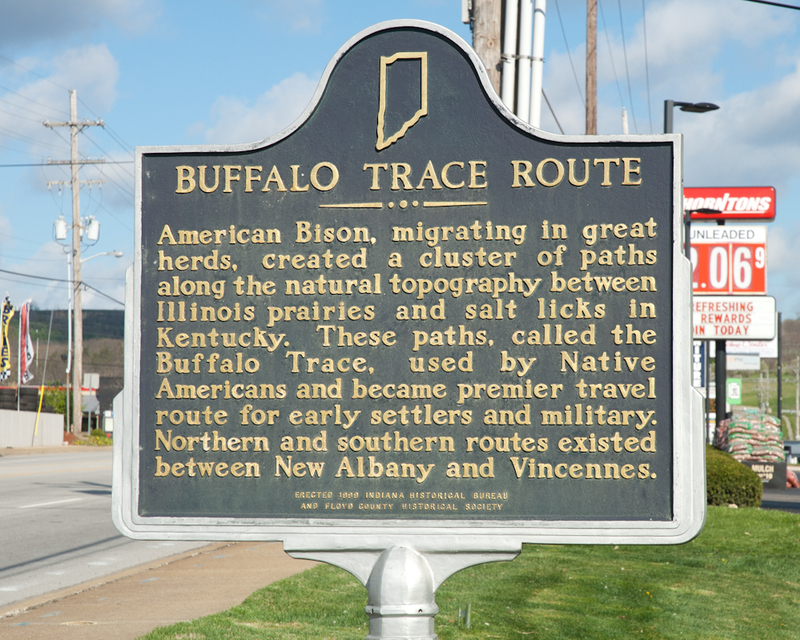 The route approximated the path of the Buffalo Trace. In 1935, the Indiana legislature established a commission “to ascertain, determine and fix the route of the historical Buffalo trace across southern Indiana.” This effort resulted in a number of publications by George R. Wilson, the commission chairman. His research played a crucial role in documenting the history of the trace and recognizing its importance in Indiana’s early history. 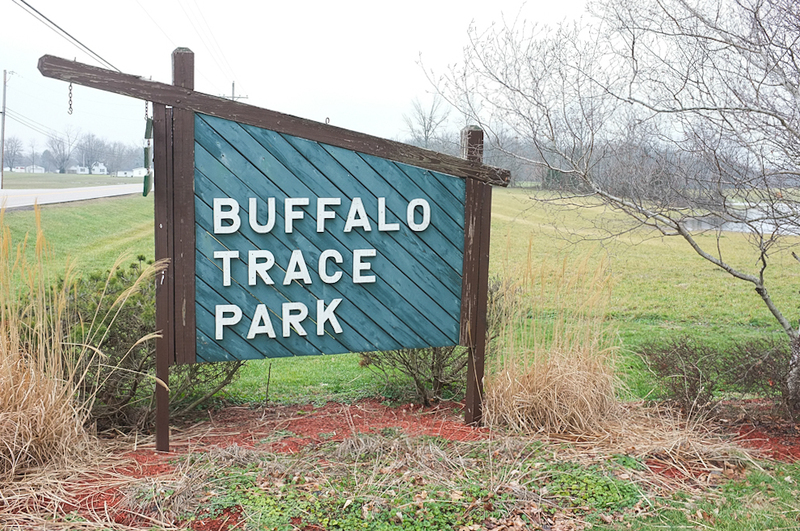 Today, the Buffalo Trace is honored by a historical marker at 2212 State Street, between Knable Lane and Coyle Drive. The Indiana Historical Bureau and the Floyd County Historical Society erected the maker in 1999. It recounts the history of the trace. 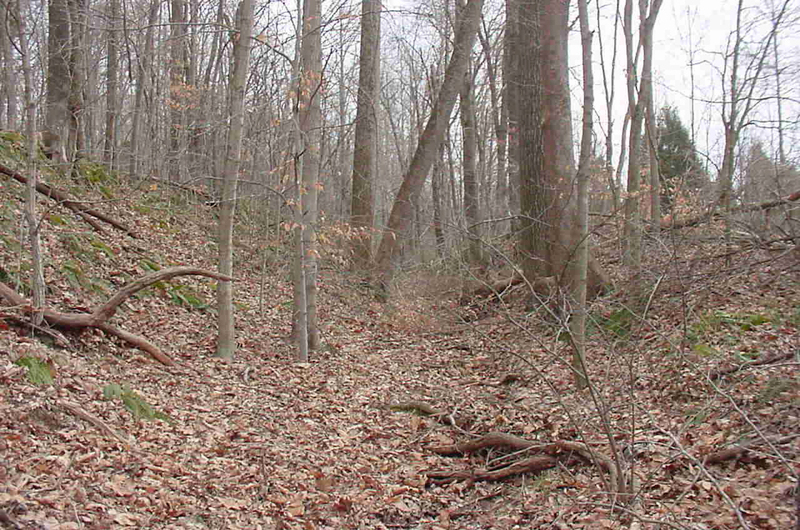 Deteriorating Roadbed: Sections of the trace remain visible throughout southern Indiana. This remnant lies on U.S. Forest Service land in Orange County. ~ Source: Photo by Angela Doyle, U.S. Forrest Service. 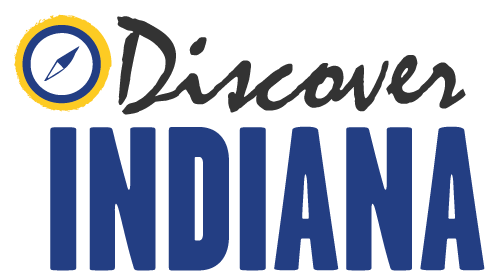 Ashley Slavey, Megan Simms, Wes Cunningham, Eric Brumfield, and Katy Morrison, “Buffalo Trace,” Discover Indiana, accessed April 25, 2019, https://publichistory.iupui.edu/items/show/140. Published on Mar 1, 2016. Last updated on Apr 2, 2019.